Defined by its dramatic landscape with volcanoes, geysers, hot springs and lava fields, Iceland is one of the world's most spectacular places. If you're a nature lover, there's no better place on the planet to admire breathtaking views and dramatic backdrops. The capital, Reykjavik, runs entirely on geothermal power and is home to the National and Saga museums, tracing Iceland’s Viking history; as such, it has become popular with fans of anything Norse related. In this land of fire and ice, you'll find adventure in abundance, so get ready to make the most of it. Enjoy experiences like no other on Iceland escorted tour packages with Travelsphere. 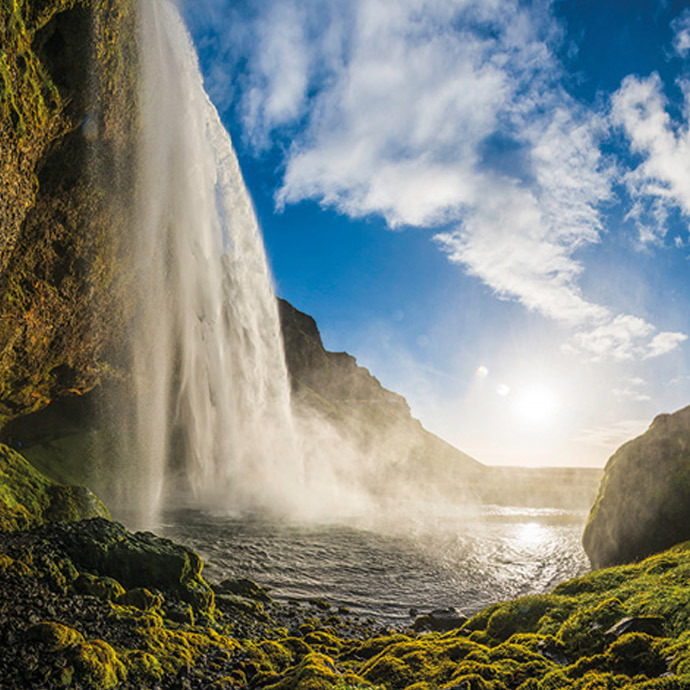 Iceland escorted tours with Travelsphere promise you an incredible time. From warm mineral-rich waters to whale-watching; glistening glaciers to picturesque villages, there’s plenty for the avid adventurer to enjoy. You'll even get to venture to the south shore, which only emphasises Iceland’s other-worldliness with its black sand beaches that have to be seen to be believed. Unquestionably, Iceland is one of the most beautiful islands in the world, perfect for exploring alongside like-minded individuals. Go on Iceland guided tours with Travelsphere and discover more than you could ever imagine! Iceland – the land of fire and ice. This incredible country has a beautifully dramatic landscape contrasted by a quaint picture-perfect capital.